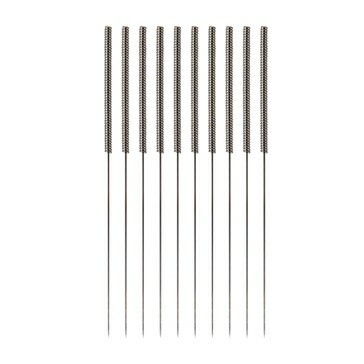 The highest quality needles from Korea are now within your grasp. Upgrade your needle craft, bring butter-like ease of insertion painlessly into your practice. Reduce your clinics carbon footprint, Dana’s packaging is fully recyclable. Dana’s easy tear pouch, once torn and held in hand, acts as a sterile barrier between the needles themselves and the user’s fingers, thus eliminating the chance of needle contamination. 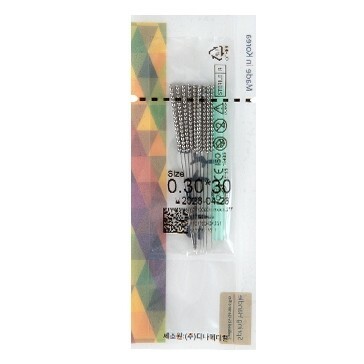 10 Needles and one guide tube per pouch provides the convenience of having 10 needles at hand, allowing faster, easier needling, without the excessive waste and fumbling of blister packaging.